My arms won’t stop twitching, my legs are weighed down by my feet and I have NO rotation from the insane soreness in my core. If I move too quick my body could completely lock up… and all of the sudden the mannequin challenge all starts to make sense? Seriously, off-season strength training has started and I’m all in! As triathletes, we often spend a lot of time training the discipline we’re best at or enjoy the most. Unfortunately, this doesn’t result in a stronger overall athlete – but does make for more enjoyable training sessions or an easier time getting out the door – am I right? But Coach isn’t going to let me do easy runs everyday… believe me, I asked! So this off-season I’m committed to becoming stronger – specifically on the bike. Which equals time at the gym and on the bike trainer. Two things I hate the most! In a way, I feel like I’m starting over … everything is hard again and I’m sore, like really sore! And progress is slow….like really slow! 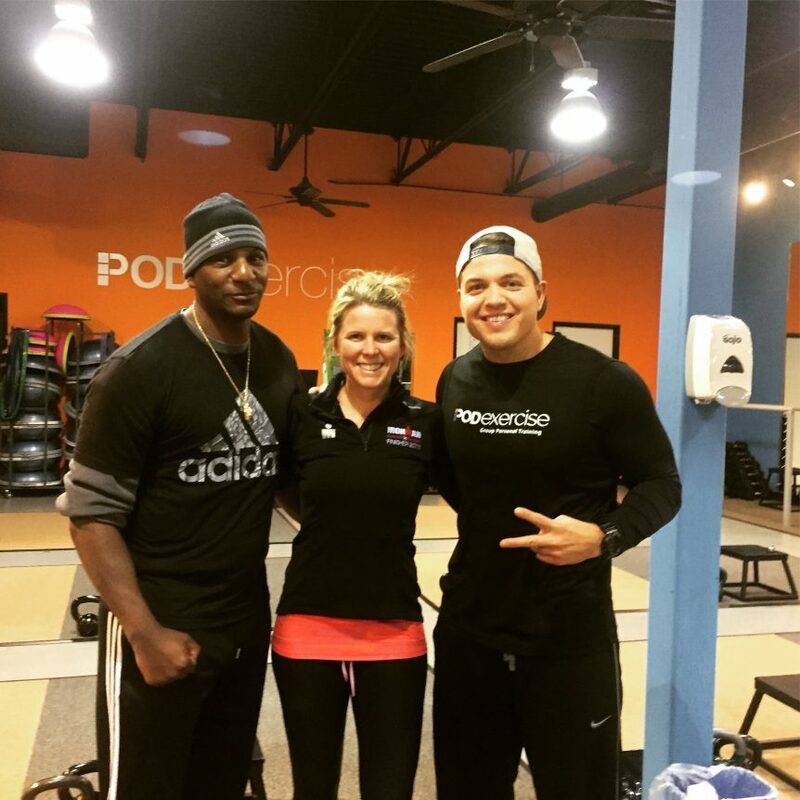 My Trainers at Pod, Luke & Lawrence! To layer on, I’m trying Spinervals to force myself out of my trainer comfort zone. Plus, I’m going to start riding to power – for reals!! I’m going to put my strength training to the test on the bike!! When we’re constantly pushing forward and challenging our mind and bodies it’s easy to forget how far we’ve come. So, wherever you are in your triathlon or fitness journey take a moment to pause and reflect. 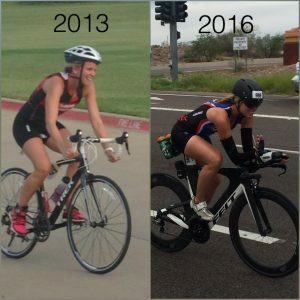 For me it’s looking back at my bike progress .. what a difference a few years makes? Perhaps I’ll have a similar progression at POD? Join me and find out! You never know until you try… what’s your new goal the new year? How are you going to get there? Fun as always to read your blogs..